Businessmen ride up on an escalator at a subway station in a banking district. It seems that if you really want to improve productivity you don’t just need to engage those around you – you need to inspire them too. Eric Garton and Michael Mankins, partners at Bain & Company, in an article for Harvard Business Review, discuss research from their firm and the Economist Intelligence Unit that highlights the importance of inspiration in the workplace. The research surveyed over 300 senior executives from companies all over the world. 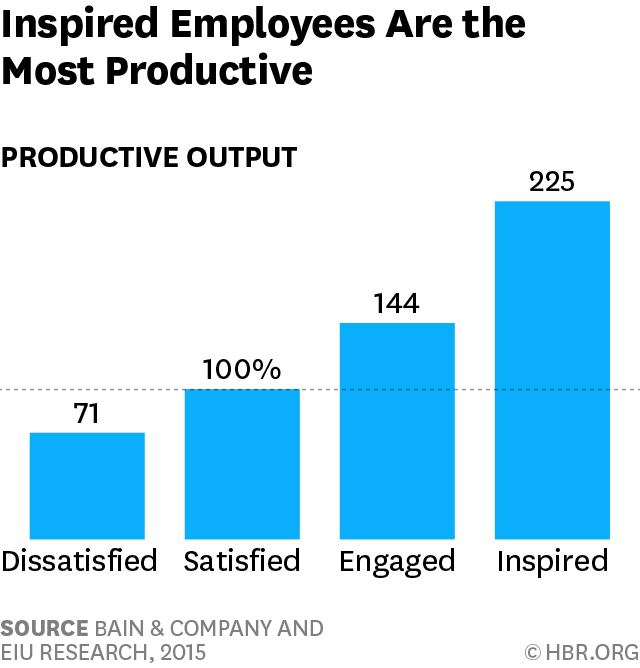 They were asked to assess the productivity of dissatisfied, satisfied, engaged and inspired employees. 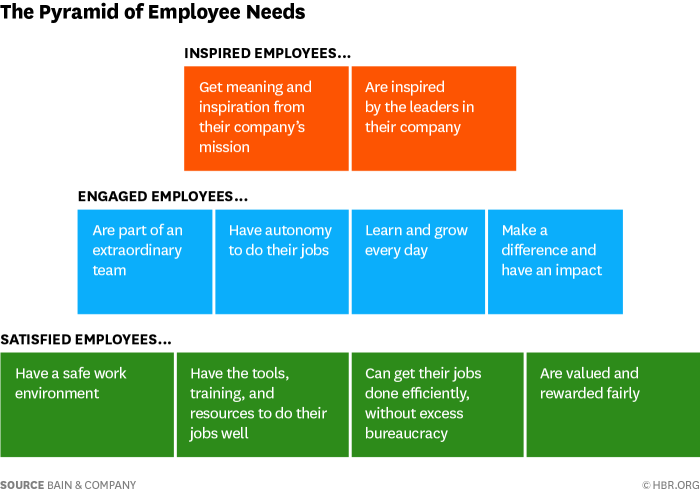 Engaged employees performed better than those who were only satisfied with their job but those who were inspired did even better. The report found that inspired employees were more than twice as productive as satisfied ones, meaning it would take two and a quarter satisfied employees to generate the same output as one inspired employee. Garton and Mankins discuss the importance of foundational elements in an employee’s development. The fundamentals of employee satisfaction must be reached before a worker can become engaged and then inspired. A safe working environment, being valued and rewarded and the ability to perform their job well and efficiently are the necessities for an employee to feel satisfied in their job. Feeling like they are part of an extraordinary team, and knowing they have an impact allows employees to feel engaged in their jobs. When all the necessary elements are fulfilled, inspiration can occur. The employee becomes inspired by the leaders in their company and also gets inspiration from the company’s mission.